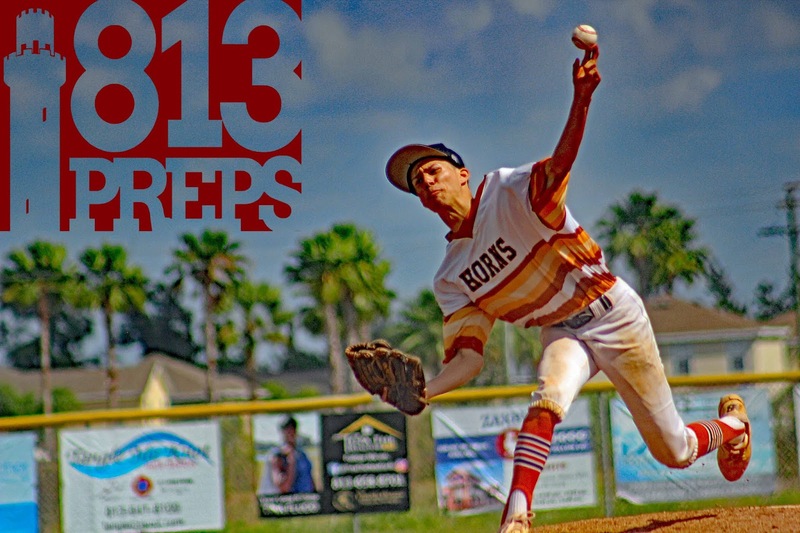 Lennard senior Cameron Lassalle worked around three hits, earning the save with four innings of relief as the Longhorns defeated Strawberry Crest on Saturday. 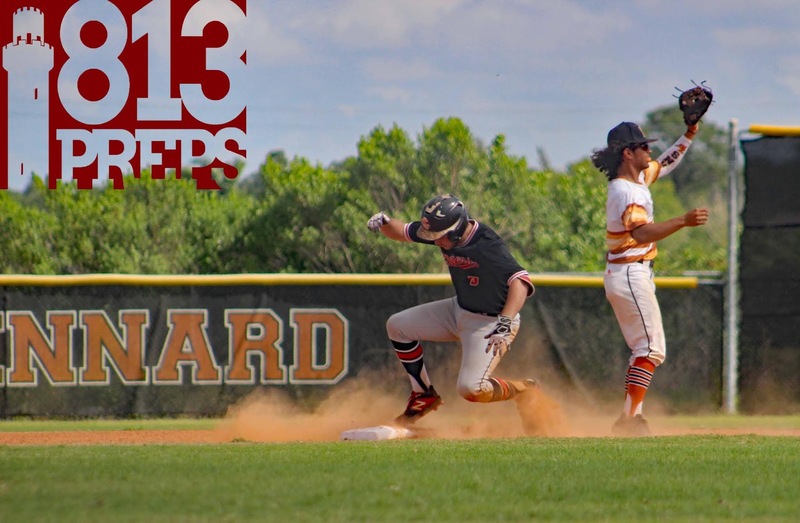 TAMPA – Lennard gave away an ugly one on Tuesday, punting a nine-run lead and watching as Riverview got to celebrate a walk-off victory. The loss was tough, but how the Longhorns responded was even tougher. Lennard coach Kennedy Duran took it to his players in the team’s Wednesday practice, forgoing the usual “light work in shorts” practice, for a full dress, dress-down where he challenged his team to answer the loss by finishing the week strong. His Longhorns responded locking up the top seed in the upcoming Class 7A-District 9 tourney with a decisive win over Braden River on Thursday, and Saturday added to the week with a hard-earned, 3-2 victory over Strawberry Crest in a morning meet-up. Strawberry Crest junior Brent May worked four innings on the mound, allowing three runs on three hits, but struck out nine. Chargers starting pitcher Brent May proved troublesome for the Longhorns hitters early, working four innings and striking out nine. 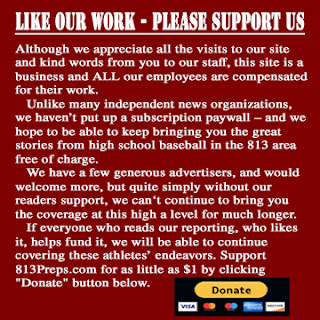 But the junior righty ran into some trouble with two outs in the third, walking leadoff man Alek Mangual, hitting Yazael Nunez and making a big mistake with a hanging curve to senior Edward Tarrant, who smashed a home run over the left field fence. Lennard senior Edward Tarrant watches as his third inning homer sails over the fence in left. 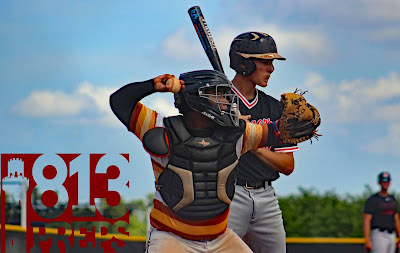 The three-game week always poses a tough challenge, but the Lennard (13-3) bullpen proved up to the task as four pitchers combined to hold Strawberry Crest to just four hits on the day. Senior Cameron Lassalle who toed the rubber beginning in the fourth, said he was a bit jittery taking over for his team with a slim lead. 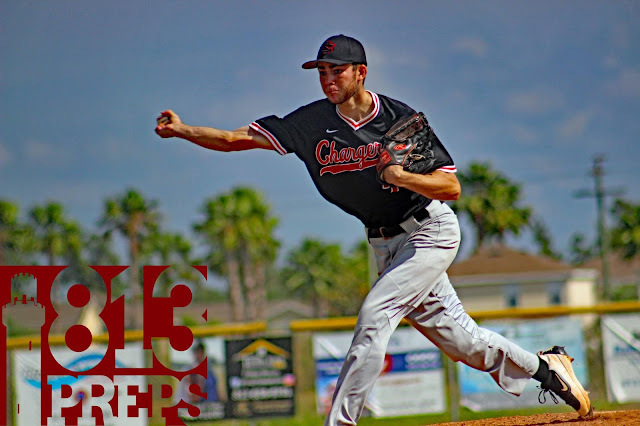 The Longhorns defenders were good to their word, but Lassalle did his job as well, and was especially baffling for the Strawberry Crest hitters, as he danced a two-seam fastball and a slider on the breeze and shook the rhythm of the Chargers hitters. Lassalle, who earned the save in the game, worked four innings, scattering three hits and not letting a runner move beyond second base. 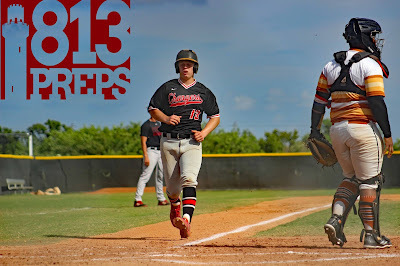 Strawberry Crest (10-7) put together a run of three-straight wins, after a four-game skid to end March, including two one-run victories this week over Newsome and district opponent Wiregrass Ranch. 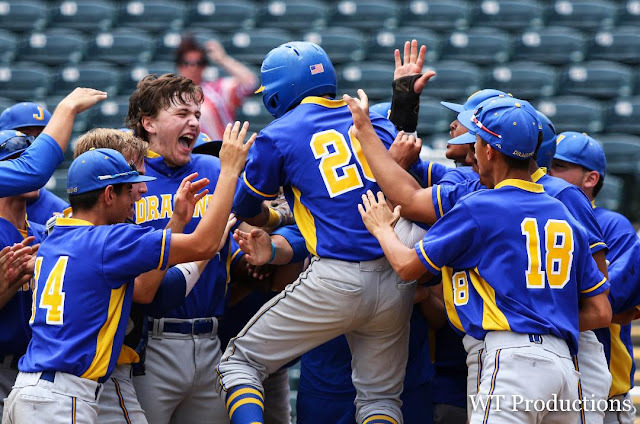 On Saturday, the Chargers scored a run in the second and third on textbook solid baseball. In the second inning, Ryan Dell drew a leadoff walk, stole second, took third on a wild pitch and scored on an RBI ground out off the bat of Joey Parrillo. And in the third, Anthony Grasso doubled to lead off the third, moved over on an Alex Mussenden sac bunt, and scored when Tanner Kelley did his job with an RBI sac fly. From there however, only Parrillo (who singled and doubled) and Mussenden were able to put a good swing on the ball for a hit. base to catch a would-be base stealer. Lennard’s defense was there to support Lassalle on the mound. Parrillo’s one-out double in the fourth was spoiled with two quick outs, Mussenden’s single was erased as the next hitter dropped what looked like a single into right only to have the runner freeze and get thrown out in a rarely seen play off the right fielder’s glove, to the centerfielder who threw into the shortstop, who flipped to Lassalle standing on second for the force out. And two pitches later, the runner aboard was erased as Levi Montero (2-for-3 at the plate) gunned the ball down to second to catch a would-be base stealer. Strawberry Crest senior Joey Parrillo slides into second after his fourth inning double. Parrillo, the Chargers catcher was 2-for-3 with an RBI in the loss, and also threw out a runner at second in the game. 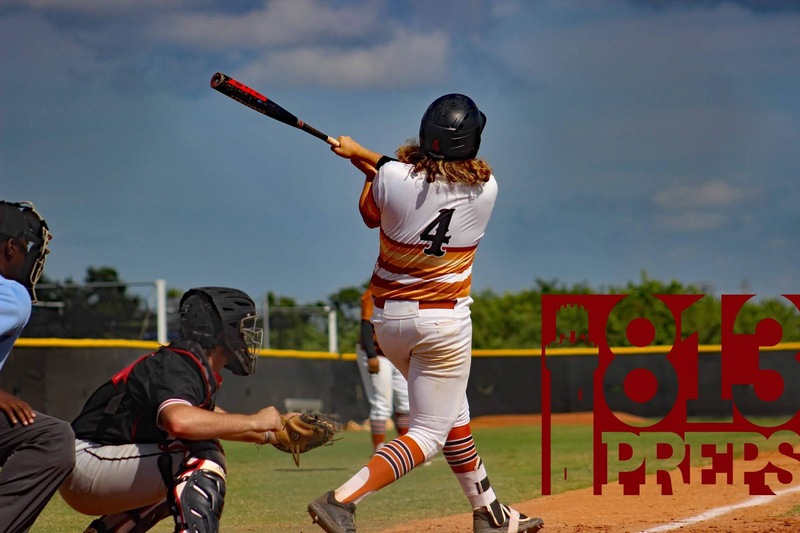 The win was a good palate cleanser for Lassalle, whose control was a bit off in relief during the loss to Riverview and surrendered four runs in a no-decision, on a hit and three walks against the Sharks. He said getting back out there in the same week was a challenge he was hoping for to get back on the right side of the ledger, earning his first save on the season to go along with his 3-0 record. W – Tavarez (1-0). L – May (2-2). S – Lassalle (1). 2B – Grasso, Parrillo (SC). HR – Tarrant (L). Records – SC 10-7; L 13-3.